Adapt your emails’ design to your site’s visual identity, to your business, or to the time of the year with the native Email Template Manager module, available by default in your store’s back office! 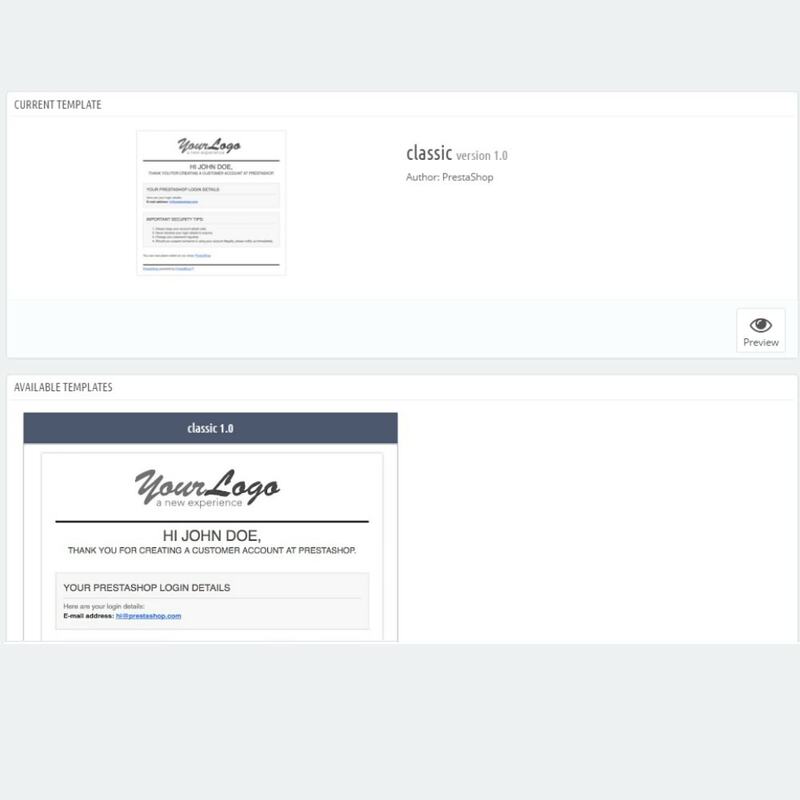 This free module allows you to easily modify the template of your transactional emails, such as the registration confirmation or order confirmation, without hiring a designer. This email template installation and management module allows you to interchange and modify your different templates and save your configurations. This tool also allows you to save your transactional emails and the default PrestaShop design. Finally, you don't have to write or translate your emails’ content: the template automatically retrieves the default translations available for the transactional email in PrestaShop! Easy importation of purchased modules: import the zip file into the module’s configuration interface and you’re all set! You can use your new email template immediately. Content and translations automatically retrieved for traditional transaction emails (more than 30 templates). Storage for default email templates in PrestaShop and purchased templates. Find all of the dynamic and responsive email templates available on PrestaShop Addons! 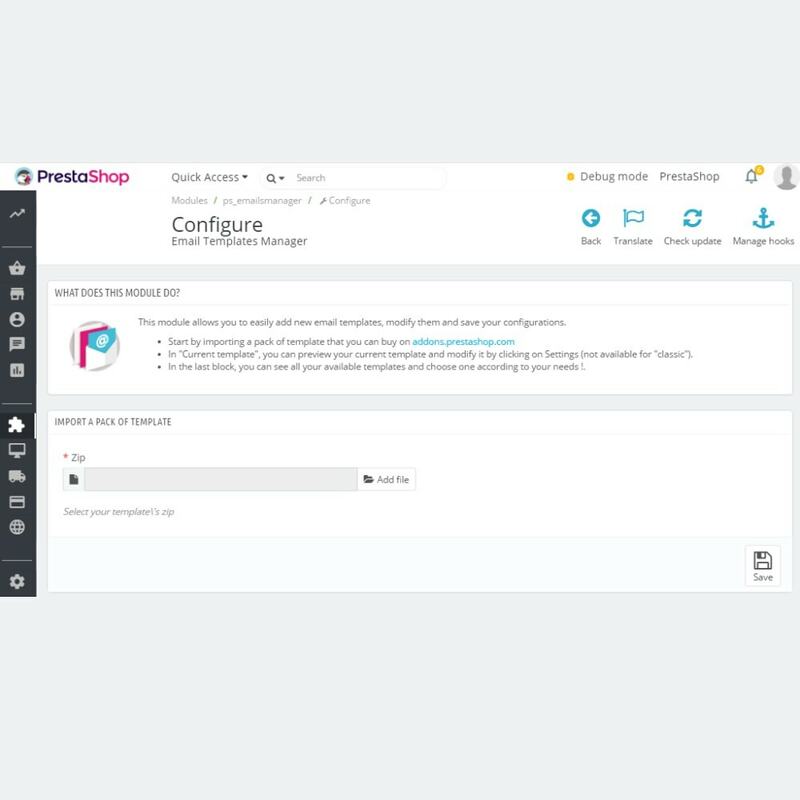 Note: the default email template in PrestaShop cannot be changed. It’s about time for a live page builder, with no limits of design. A page builder that delivers high-end page designs and advanced capabilities, never before seen on PrestaShop. With Creative Elements, everything is done visually and without code.